Looking for private in-home or in-studio Music Performance lessons? Our La Crescenta teachers are ready to get you started. Find your teacher today! Improve your connection with your audience! These skills enhance any performance or audition. Jan has a degree in Opera from Combs College of Music in Philadelphia. She also worked for Seth Riggs in California. Jan has worked with and mentored 21 Grammy winners. She teaches vocal technique dealing with the connection of chest, middle, head with no break. She also works with proper breathing, and vocal coaching. Jan teaches a class called "Acting For Singers" which helps bridge the techniques, emotional connection to the lyrics and the physical connection to the music track. Jan wrote a book called "Once More With Feeling" which is about the connection of all three. I have a Doctorate in Music, and have worked on hundreds of blockbuster movies including the Oscars and Grammys. I've played jazz for over 40 years and can help you become a play like a pro. Also work on sight reading. Say goodbye to stage fright and learn to open up to audiences in these Music Performance lessons! In these lessons I will help you to identify how to connect with your audience and boost your confidence while maintaining your skill with your instrument. Brian has been a professional musician for the last seven years. He has performed in most of Los Angeles's clubs, and is experienced in networking, choreography, and stage presence. He will help you take your live show to the next level. 10+ years of music performance experience in NYC and LA! Learn how to prepare for a performance and give your best in front of an audience. My individualized approach equips you with the specific techniques and points that are ideally suited for YOU and will you help continuously improve. You will learn techniques on performance delivery, mastering the performance space and ways to communicate with your audience. ear what she might have to say about my work and her suggestions. I have been lucky enough to have taken lessons and workshops with Jan for a couple months now and it has definitely had a big impact on my confidence as well as making me aware of what I need to work on. It is great to put yourself in a situation where a professional will be honest with you and help give you the tools to better your performance, this is exactly what I get out of working with Jan. You can sing out as much as you want, but listeners, friends and family usually just tell you how great you are and its hard to grow that way. Jan is kind but straightforward on what you need to do to better yourself as a performer. I highly recommend studying with Jan!" dge and a real passion for encouraging talent. I highly recommend studying with her to improve performance and hone your craft." ue artist. Although she is primarily a guitarist she is also a highly trained and accomplished gymnast and acrobat. I have no doubt that Lilia makes an exciting, flexible and compassionate teacher." here Jan comes in, she can teach you how to sing, she can tell you when your act is not up to par. More importantly, she can teach you how to relate to your music (most likely you can't), and how to build a relationship with the audience in the short amount of time you're on stage (you probably don't know how to do that either). Jan has worked with people at every level and so she has really honed her craft when it comes to teaching. If you are a student of music performance, she can take you to that next level no matter where you are at. 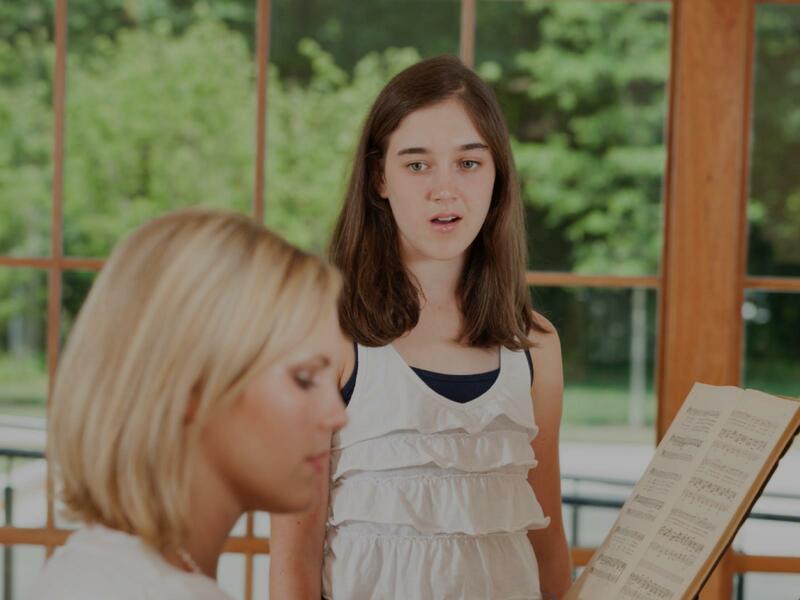 I've taken voice lessons in a private setting by a former vocal-music pro who has worked with former Mrs. Kentucky winners, and with teachers on the University/Collegiate level. Jan is the best I've had so far. 7. Ask questions that she can give quick answers to (it helps her know that you're hungry to learn). Bring something to write with." r, voice coach, and producer. She also teaches classes in Acting for Singers which I have taken. She creates a fun and supportive atmosphere in her private lessons as well as her classes which makes attending them truly enjoyable. She always focuses in on what I need to learn and does it in a very positive way. Anyone who wants to develop as a singer would be really lucky to have the opportunity to study under her and to have her guidance." Los Angeles, CA teacher: Stephen H.